Historic Victorian Cape May is a perennial favorite for romantic getaways. Perfect for a long weekend if you are coming from Philadelphia or Washington, D.C. or New York City, Cape May has a lot to offer a couple looking to spend quality romantic time together. Our Lucia Suite is often booked by couples because of the romance of the canopy bed with an imported lace canopy. With our en suite kitchens, you could even tuck in to your room for the whole weekend, but there are many romantic Cape May restaurants to try for fine dining. Aleathea’s is located at the Inn of Cape May along the ocean front. Perfect for sitting down to a romantic dinner of steak and seafood, it also puts you right at the water’s edge for a romantic stroll on the beach before or after your meal. Aleathea’s offers a full cash bar, in season patio dining and you can make reservations over the phone or through their website. 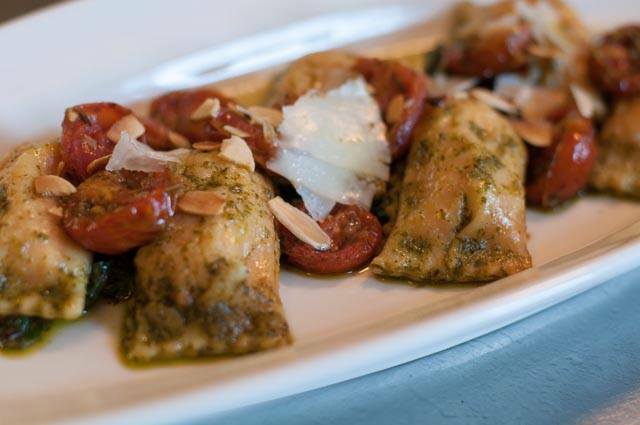 If eating local and is season is important to you as a couple, then Louisa’s is the spot to visit in Cape May. 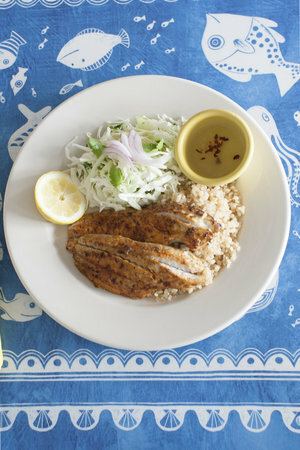 Offering a casual romantic Cape May restaurant setting, their menu is sourced from area farms and fisherman. They are open most of the year, so check their website or Facebook page for hours and reservations. Their menu changes daily based on availability of in season ingredients, so you can venture there repeatedly for multiple romantic dinners on your trip. 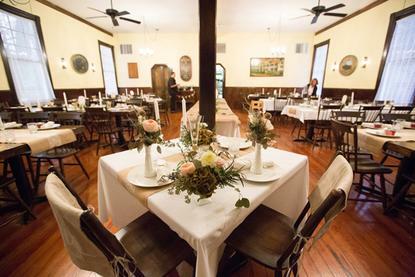 Located at Historic Cold Spring Village, the Cold Spring Grange Restaurant and is another farm to table favorite in the area. They offer a seasonal menu and a quaint setting for a romantic dinner. The list of local farms with which they source their foods is on their menu and offers a wonderful local living connection to your meal. The Cold Spring Brewery is located just there, so it’s perfect to bring along a growler to pair with your meal. 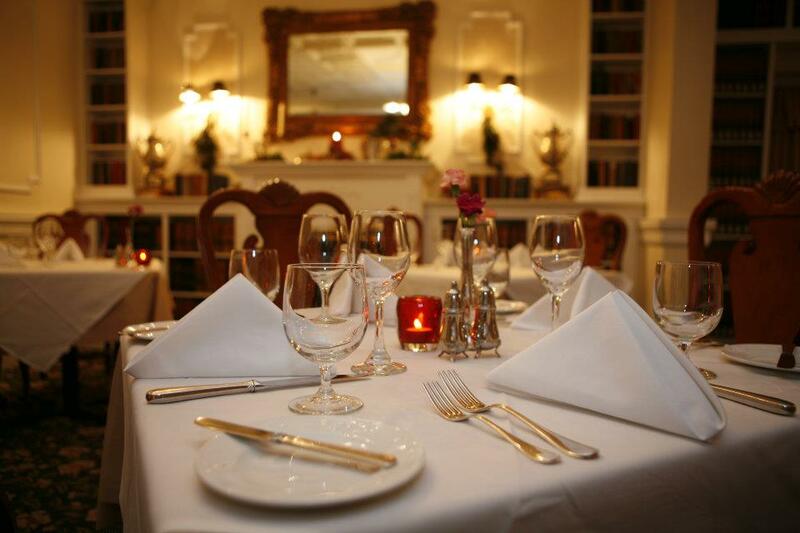 The Peter Shields Inn Restaurant offers a romantic Cape May restaurant experience to remember. Executive Chef Carl Messick brings the best of the region to the table with sustainability and creative culinary styles in mind. They offer a selection of wines from Cape May Winery, but also allow diners to BYO. Reservations are recommended. 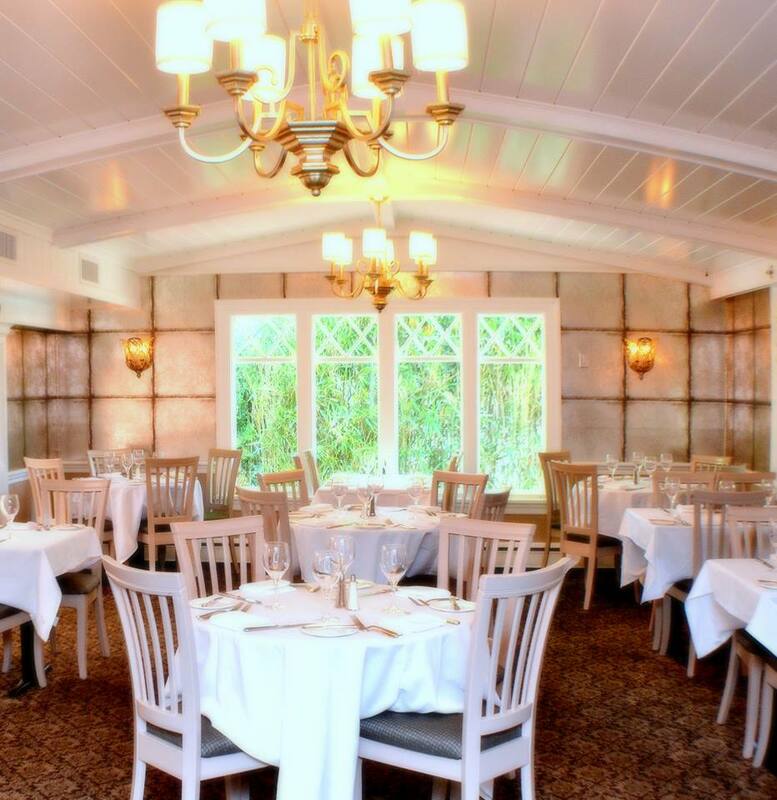 Often chosen as one of the most beautiful restaurants in New Jersey and right down the block from our Inn, the Blue Rose Restaurant is a great destination for a romantic Cape May restaurant visit. They offer gluten free items on their menu, if that is a dietary need for you, and participate in special event evenings including Christmas Eve and New Year’s Eve. Reservations are recommended here as well and they offer a dinner and a show package in partnership with the East Lynne Theater Company. 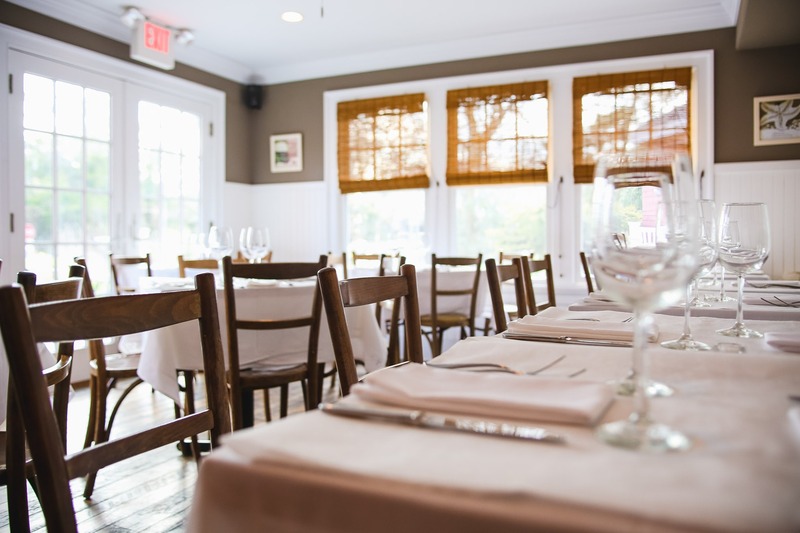 The Red Store has swiftly become one of the top restaurants in Cape May. 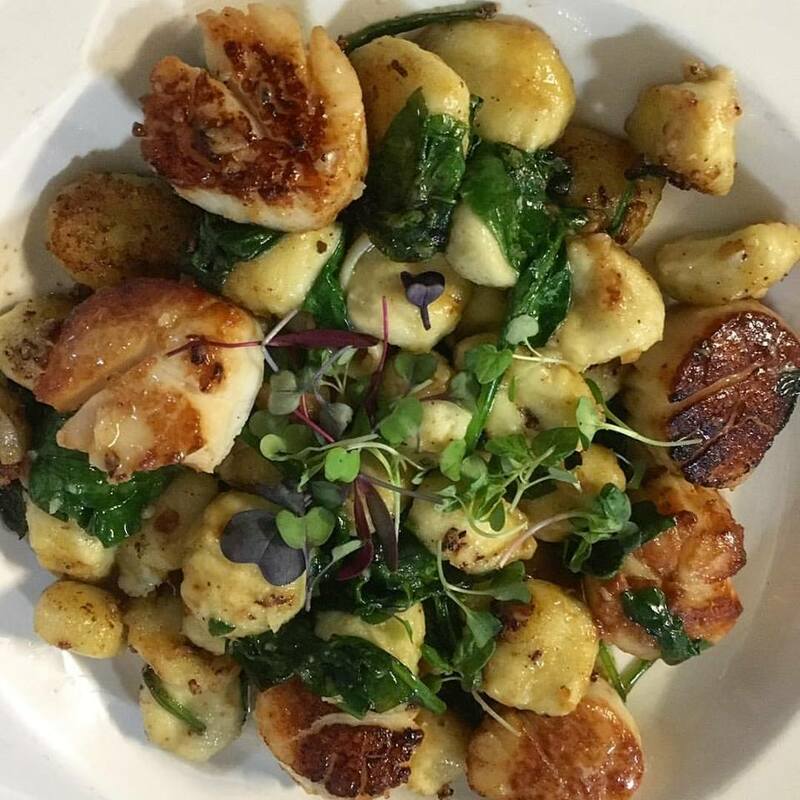 Located in Cape May Point, it offers a wonderful seasonal menu, BYOB to enjoy local crafted wine, beer and spirits and you can go for a stroll by the lighthouse or along the beach to pair with your romantic Cape May restaurant meal. Chef Lucas Manteca is a James Beard award nominee and crafts a meal to behold! A short distance from our business, Tisha’s is located on the Washington Street Mall. It’s a great spot to grab a delicious meal and enjoy strolling in and out of the shops on the Mall. The restaurant has been in business for over 20 years and offers a wonderful variety of steak and seafood entrees. Check their website for seasonal hours. Union Park Dining Room has a wonderfully romantic setting and is located near the beach for strolls before or after your meal. They are open only seasonally, so check their website for opening day for 2018 and make your reservations. In addition to being a great romantic meal stop, they can be a great romantic event location too. Contact them for more info on hosting a wedding or special event there. We’re just a block away from the Washington Inn. They offer a lovely menu and also partner with Cape May Winery on a selection of wines. If you are looking for dinner and a show, they offer a package with the Cape May Stage. It’s a fantastic spot to start or end a romantic date in Cape May. 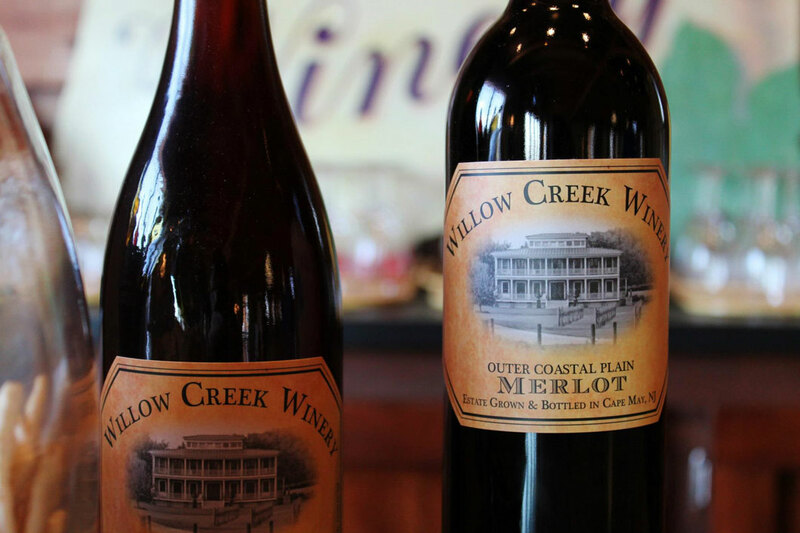 You could spend all day at Willow Creek Winery! They offer tours, an outdoor bar, a full tapas menu and more. It’s a wonderful spot to bike ride to using our bikes and explore the Cape May Point area. This is a great destination for a casual romantic meal and you can even visit on Friday nights for Fire Pit Friday for an extra romantic touch. 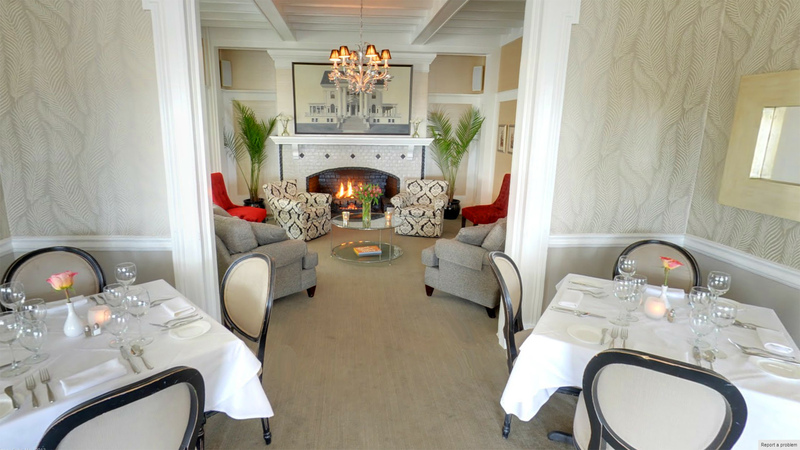 No matter where you choose to have a romantic Cape May restaurant experience, we’d love to have you stay with us for your getaway. Book Now for best availability options. This entry was posted in Uncategorized by Deanna Brown. Bookmark the permalink.